Eight years after the financial meltdown on Wall Street, the Bay Area construction industry has finally managed to recover all the jobs it lost in the Great Recession. 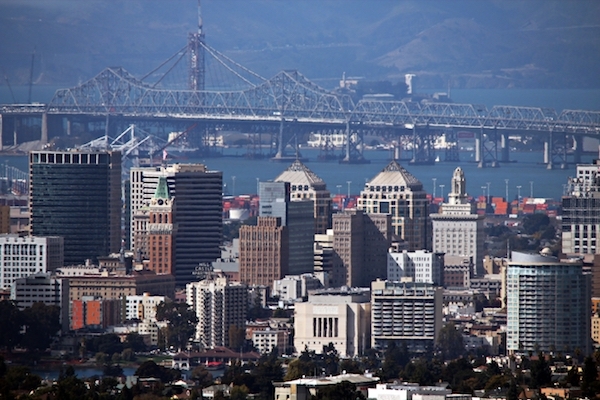 In July, 2008, there were 65,500 construction jobs in Oakland, Hayward and Berkeley, according to data from the California Economic Development Department. Then, two months later, the housing bubble burst and Lehman Bros. declared bankruptcy. Other major financial firms followed suit, rapidly increasing unemployment in every industry. By July 2009 the same East Bay area was down to 53,000 construction jobs. But with the eighth anniversary of Lehman Bros.’ bankruptcy approaching on Sept. 15, the state agency’s latest estimate shows jobs were back up to 69,500 as of July, a trend which also can be seen in San Francisco and the South Bay. On the North Coast, Sonoma County has more real estate development jobs than there are workers to fill positions. Construction jobs in the Bay Area, made with data gathered from California Economic Development Department. Now, the building boom is back. Robust development in the East Bay is tracking a shift in housing demand spilling over from places like Silicon Valley, where real estate prices have skyrocketed, leading to more demand in nearby regions for new or renovated housing. This combined with commercial development creates a high demand for builders, engineers and contractors, according to Diana Disney, business development manager of Broadway Mechanical Contractors in Oakland. Derik DeLonzor, a project engineer for West Builders, a project management contractor with offices in Point Richmond, said the local industry has plenty of work right now, and after each job is done, another is waiting. But some economists are speculating that this boom may be short-lived. The Federal Reserve may raise short-term interest rates in the coming months. If this rate is increased, it could mean less new construction because fewer people will be looking for new and expensive housing. David Neuville, a project manager working with DeLonzor on a building project underway in West Berkeley, said the job market has become so tight it’s often difficult to recruit enough workers. “When I ask for a crew now, I only get so many guys because people are busy and pretty soon we could fall behind schedule if we don’t get a big enough crew,” Neuville said. Cluver said there were times in the years following the downturn that 40 to 50 percent of members were out of work. Now, that number is down to about 5 percent. Contractors are able to hire more union apprentices, Cluver added, and new workers are finding it easier to remain in the industry for the long-term. Building and construction employment has gone up in many job categories, but the data shows particular strength in certain specialty trades. Some specialty contractors have more jobs now than they did in the two years leading up to the downturn, the previous peak. Specialty trade contractors include electricians, heating and ventilation technicians, plumbers and others who may be contracted to install or repair a specific part of a building or piece of equipment. Major projects like the Oakland Army Base redevelopment and the Brooklyn Basin project at the Oakland waterfront attract big contracting firms who employ many workers. Smaller firms then get extremely busy and create even more jobs, according to Fred Robanser, president of ABCO Mechanical Contractors, a company based in San Francisco that works on job sites throughout the Bay Area. “Large mechanical firms like to work on the big-time buildings, which sends the work they can’t do trickling down to us,” Robanser said. A construction crew in West Berkeley worked on a project Monday. Economists say the current construction boom has led to nearly full employment in the local industry.